Their philosophy is that children are active learners from birth with the nursery priding itself on being able to make a positive influence on a child’s future educational, physical and social development during their early years. The nursery offers a fun and stimulating environment with rooms for each learning age, each complete with a lively décor, age-appropriate toys and a range of learning aids. Children can also enjoy a Sensory Room, where interactive lighting, bubble columns and other visual effects help provide a constantly changing environment. The centre also boasts a secure outdoor play area where children are encouraged to play as well as grow their own fruit and vegetables. 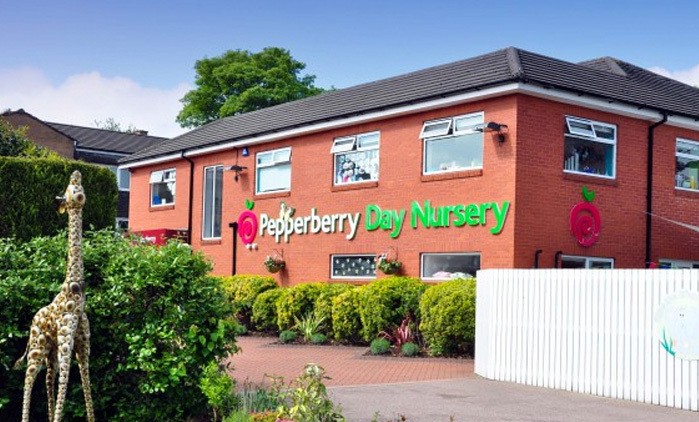 Pepperberry Day Nurseries are fully Ofsted regulated and receive regular visits to ensure their practices are in accordance with the Department for Education and Skills Welfare Requirements. Following their most recent inspection the childcare provision was deemed ‘Outstanding’. Visit the Pepperberry Day Nursary Website to find out more!